Motive Ring is the perfect combination of form, fit and function. Motive Ring is thinner than two nickel and weighs less than a Penny. It is one of the smallest fitness trackers available and it packs a ton of features in a small package. Motive Ring tracks steps, heart rate, calories burned, sleep, and resting heart rate. It uses your movement and heart rate data to focus on the metrics that matter most And determines how much your activity contributes to your overall health. 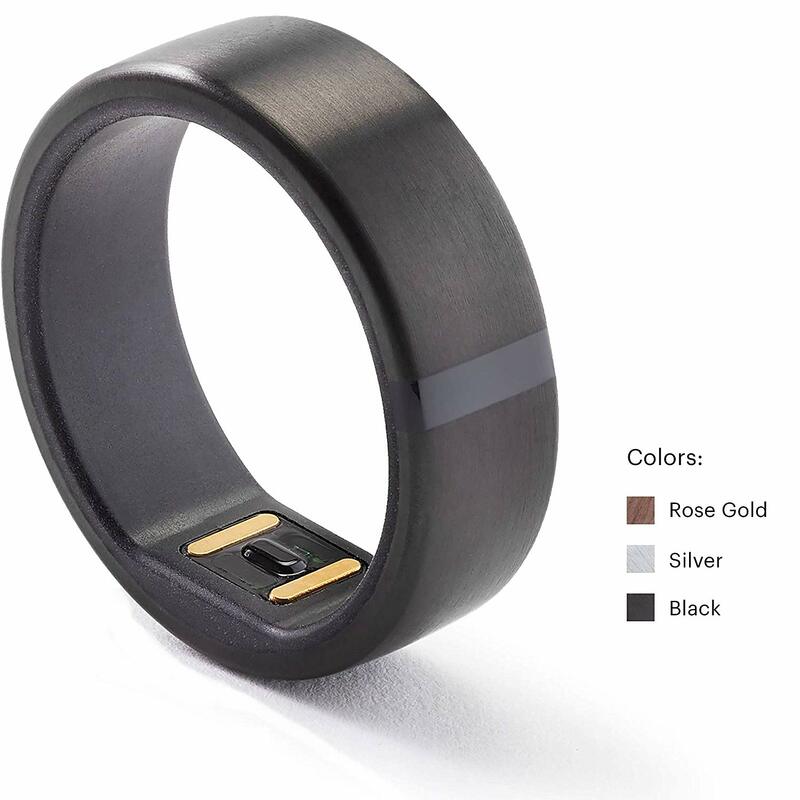 Unlike wrist based trackers, Motive Ring is so comfortable and stylish that you won't want to take it off. In the motive app, you can set your weekly goal and it will automatically detect and track your activity. The app will adjust your goal based on your daily progress, kind of like rollover minutes. The app displays your activity, sleep and resting heart rate. Just tap an activity in your daily Feed if you want to see more information, like detailed step and heart rate data for each activity. The Motive Ring app is compatible with iPhone 5/6/6 Plus/6S/6S Plus/SE/7/7 Plus/8/8 Plus/x and Samsung Galaxy S7, S7 edge, S8, S8 Plus, S9, S9 Plus, Note 5, and Note 8, and Google Pixel, Pixel XL, Pixel 2 and Pixel 2 XL. Unlike clunky, uncomfortable alternatives, Motiv Ring is wrapped in a titanium shell, making it super durable, surprisingly light and stylish. But it doesn’t just look great - Motiv Ring is also waterproof and resistant to almost any chemical you’d be brave enough to put your fingers in. Fitting all of this technology into a ring this small was no small feat. Using custom designed microtechnology, Motiv Ring is waterproof up to 165 feet, has a battery life and on board memory of up to three days, and charges in 90 minutes. The Motiv App displays your personalized activity, sleep and resting heart rate "cards" each day. Just tap a card in your Daily Feed if you want to see detailed information on your activity, heart rate, steps, distance traveled, calories, sleep, resting heart rate, and your progress on your daily and weekly goals.